Check out our affordable custom web solutions for sites of any complexity. 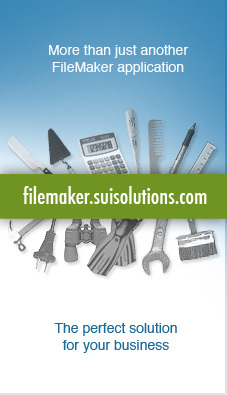 Learn more about our FileMaker products and custom development services. Check out our ready-made products for iPhone, iPad and iPod Touch. Check out our ready-made widgets and applications for Android. New iMargin Professional has been released! We at SUI Solutions are excited to announce that our new iPhone app iMargin Professional is now available in the app store! It's predecessor iMargin - Instant Margin Calculator is a permanent member of the top 100 app's in the business category and it was featured as an Apple’s Staff Favorite. The New iMargin Professional has several new exciting features such as: currency conversion, history, smart percent calculator, comparison graph and others. We believe it is a great app that will increase productivity and be a convenient time saver for all who use it. Weekend days choice. Now you can define any days of week which will be marked as weekend. Arabic language of the interface was added in to standard package. The upgrade from 2.0 version is for free. We are happy to introduce Vedatrak CRM v3.0. New in version 3.0 is faster and more stable new Vedatrak Core, new sales modules that allows you track all sales documents you need, template module allows you build your own Vedatrak module as easy as never before. Also, Vedatrak Full Pack available - now you can buy all Vedatrak modules with an amazing discount! Brand new CRM Core, faster and more stable. New sales modules available: Stock, Quotations, Purchases, Campaign. Allows you to track all sales documents you need. Template module — build your own Vedatrak module as easy as never before. Vedatrak Full Pack available. Now you can buy all Vedatrak modules with an amazing discount! Major update of SUI Calendar has been completed this week. New SUI Calendar uses Vedatrak technology and style. The Calendar includes the following languages of interface: English, Deutsch, French, Turkish, Russian. And you can add your own language in any time via Multilingual layout. If you already bought the SUI Calendar then you can to get this update by special price. 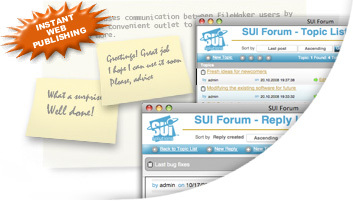 SUI Solutions releases SUI Forum 1.1.2. 1. The link "I want improve this Layout!" was added on each Layout. You can comment current Layout and developers will receive your message by email. We hope our Clients will help us make this component better. 2. Now you can attach files to your message. It will help to organize more flexible business process. Please visit product page for more information. Sale prices are available for SUI Forum until 08/08/2011. 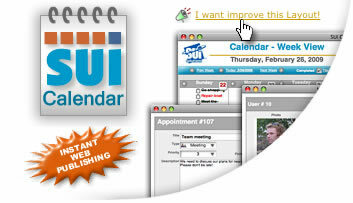 We completed the development of new version SUI Calendar. Now you can improve the SUI Calendar easily. 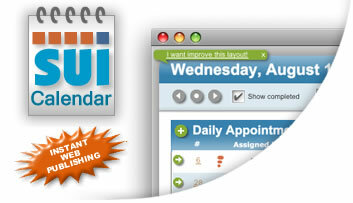 Each Filemaker Layout of SUI Calendar contains the link "I want improve this Layout!". Simply click on the link and type your comment. It will be sent to us along with necessary system information. We will review ALL comments and take your opinion into account. Please help us to make the SUI Calendar really suitable for you! SUI Call Log for Android Released! 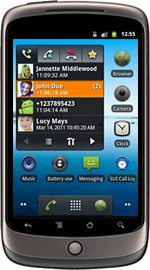 SUI Solutions is excited to announce the release of SUI Call Log for Android. SUI Call Log is a widget and application that provides the ability to manage calls with a quick contact feature directly from the Android home screen! 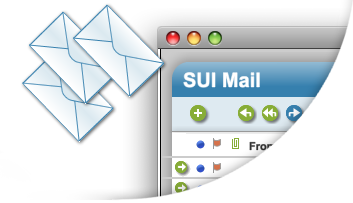 New version of SUI Mail includes third-party Java plug-in compatibility, e-mail address validation, GUI enhancements and more! An online help resource for Vedatrak 2.1, which includes introduction to features and provides illustrated usage instructions by category, is now available: Vedatrak 2.1 Online Help. 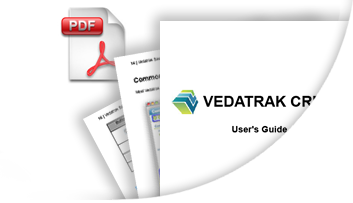 A PDF version of online help can also be downloaded: Vedatrak 2.1 User's Guide (PDF). SUI Solutions, a FileMaker and iPhone development company, announces the release of iMargin for FileMaker. 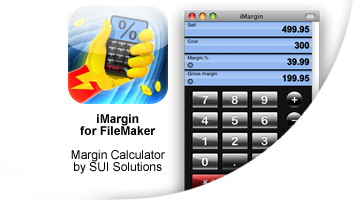 Based on SUI Solutions’ popular iMargin for iPhone, iMargin for FileMaker allows users to quickly calculate sales margin and related values.